As I’m sure all you lovers out there know, Valentine’s Day is fast approaching. Cupid’s arrow is heading your direction. You will be running in slow motion through fields of meadow grasses with the strains of violin music playing in the background. Ladies, do you hear the doorbell ringing? It’s the local florist with a bouquet of roses. Gentlemen, did you see the envelope on the kitchen table? It’s a gift certificate for Bass Pro Shop. Everyone loves everybody and everything is everlasting! 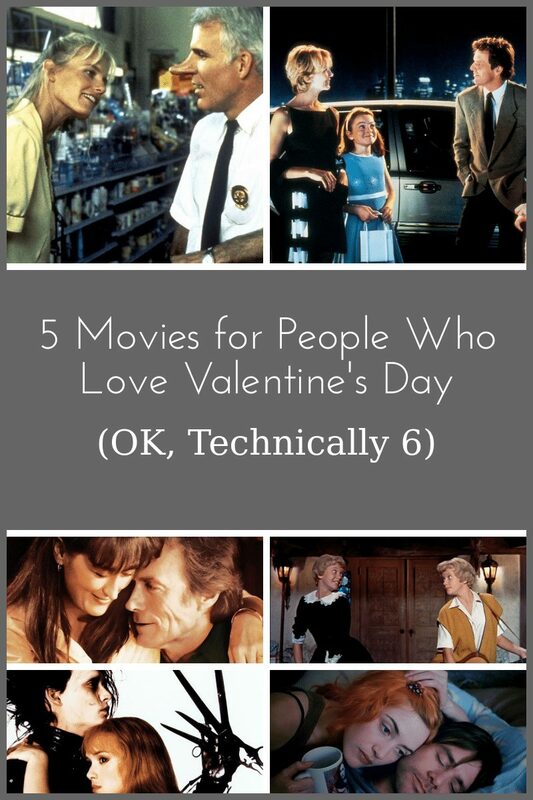 To celebrate the occasion, here are five suggestions of movies – OK, technically six – to stream, rent, or slip in the old DVD player while you cuddle up with your significant other and wallow in the strength and passion of your commitment to one another. 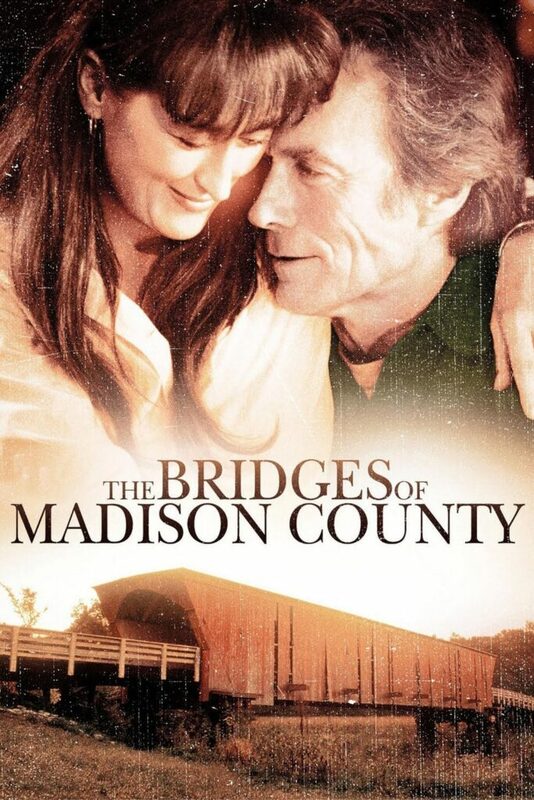 THE BRIDGES OF MADISON COUNTY (1995) – I’m not always the biggest fan of Clint Eastwood as a filmmaker, but his transformation of the horrible Robert James Waller novel into one of the most romantic, heart wrenching movies ever made is nothing short of alchemy! Credit must go to screenwriter Richard LaGravenese who kept the skeleton of the story intact but made one huge adjustment that made all the difference in the world – whereas the book felt like Robert Kincaid’s story, the movie feels like Francesca Johnson’s story. She is the beating heart of this material, it is her decision that ultimately propels the viewer’s empathy, and in spite of our agreement or disagreement with the eventual decision she makes, our heart bleeds for her. It doesn’t hurt to have Meryl Streep giving one of her finest performances ever in this movie – a performance that upon retrospect is largely comprised of silent gestures and quiet expressions. Without going into spoiler territory, I’m torn which scene in THE BRIDGES OF MADISON COUNTY is the more devastating – the one in which Francesca has her trembling hand on the truck door or the one in which many years later she receives a package in the mail. Both break your heart in a kajillion pieces, and both contain acting of the highest order. This title is currently available for streaming to Hulu subscribers, for rental on Google Play, Fandango Now, Amazon Video, or Vudu and available for purchase on CinemaNow or by clicking the title. 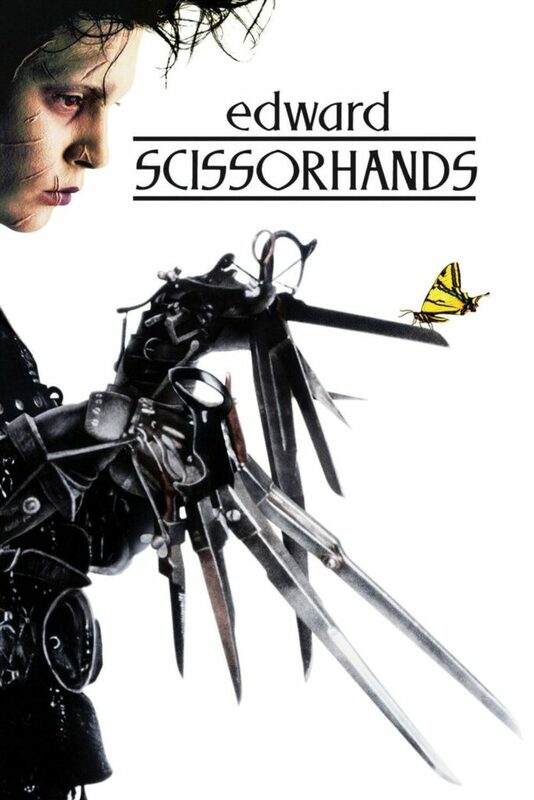 EDWARD SCISSORHANDS (1990) – This may seem an odd choice for a romantic movie. After all, isn’t this the movie where Johnny Depp goes around cutting the neighbors’ shrubs and giving the local women haircuts with his scissor-like appendages after being brought home by the Avon lady? This is one of those movies that must have sounded preposterous to the extreme on paper; thankfully, the powers that be trusted Tim Burton and his cinematic judgment to turn EDWARD SCISSORHANDS into one of the most inventive, original, and – yes- romantic movies of the last few decades. I know Sara is not a fan of this movie, and she is not alone in her feelings, but I find myself moved so much by the thought of someone who wants to love and be loved, but is unable to do so because of this one huge obstacle in his way. 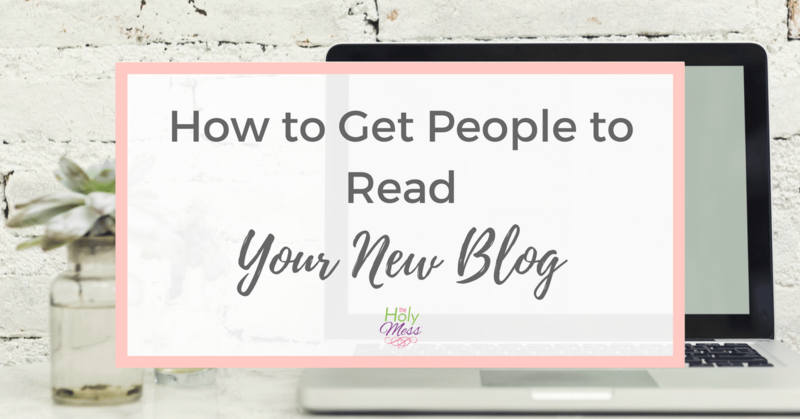 We all have “scissorhands” in our lives – I know I do! That makes it a very personal movie for me. There’s something beyond magical about the scene with Winona Ryder dancing in the snow created by the very “hands” that can’t touch her. This is a special movie because it can be enjoyed on so many levels. We all know that part of love is heartbreak – and not all stories have happy endings. This title is currently available for free to Encore Now subscribers, available for rental on Fandango Now, Vudu, Google Play, or Amazon Video and available for purchase on CinemaNow or by clicking the title. 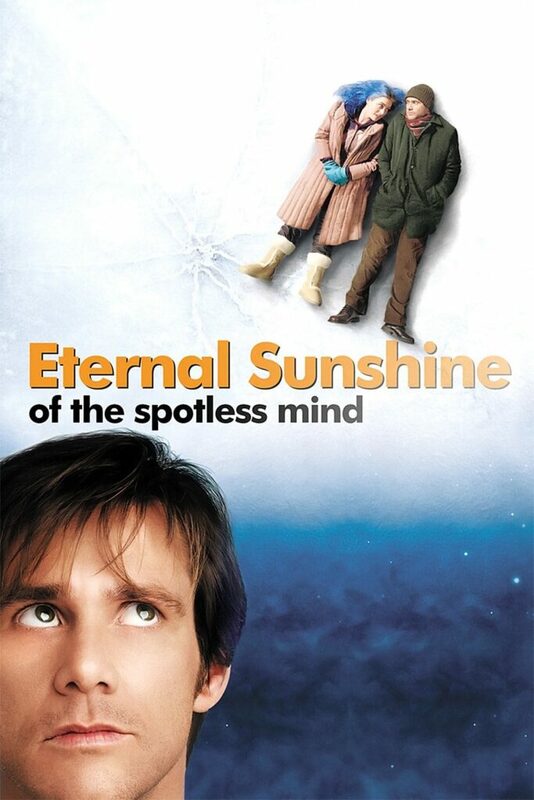 ETERNAL SUNSHINE OF THE SPOTLESS MIND (2004) – Like EDWARD SCISSORHANDS, I applaud the people who had the bravery to go through with the production of this movie. It is unlike anything you’ve ever seen, and it happens to finish high on my list of best movies of the 2000’s. It is impossible to explain. All I can say is that it centers around the ability to erase memories versus the power of love to keep them everlasting. ETERNAL SUNSHINE OF THE SPOTLESS MIND is a challenging movie and honestly requires more than one viewing to understand the full breadth of its genius. It’s like reading a good book repeatedly, as you pick up on nuances and subtleties that may have been unnoticed before. The central relationship between Jim Carrey and Kate Winslet, both giving career-best performances, is lovely and frustrating and unpredictable, just like life. This movie was written by Charlie Kaufman, who is easily the most creative screenwriter at work today. His other films include BEING JOHN MALKOVICH, ADAPTATION, and ANOMALISA. If you are at all adventurous in your movie-watching, please give this a shot. In fact, give it two shots! Even if it’s not your cup of tea, you’ll admire the originality and the passion of the filmmaking. This title is available for free to Crackle subscribers, available for rental on Amazon Video, Fandango Now, Vudu, Google Play, or Sling and available for purchase by clicking the title. © 1998 Walt Disney Pictures − All right reserved. © 1961 Walt Disney Pictures − All right reserved. THE PARENT TRAP (1961) and THE PARENT TRAP (1998) – Okay, let’s lighten the mood a little bit. Love can be fun and comical, too, folks! 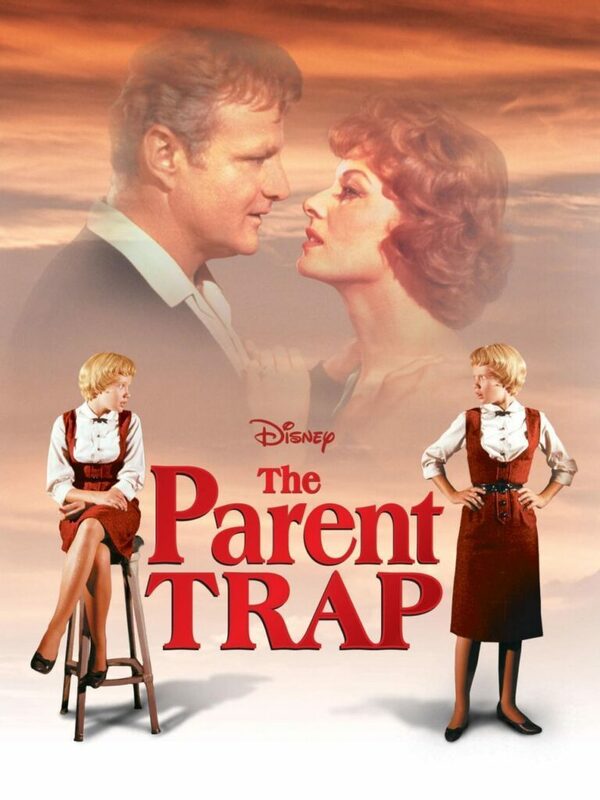 In spite of my usual disdain for remakes, I am happy to be able to recommend both the original 1961 PARENT TRAP with Hayley Mills and the 1998 PARENT TRAP with a pre-meltdown Lindsay Lohan. This would be a wonderful double feature for those of you who may spend your Valentine’s Day holiday as a family, as there is plenty in both movies that will entertain adults and children. Both films have the same basic plot – identical twins separated at birth meet at a summer camp and work together to reunite their divorced parents – but I must say the remake does a better job of fleshing out the parents and their relationship, although Maureen O’Hara, who plays the mother in the original, remains the most beautiful woman I’ve ever seen onscreen. The original, though, has the nostalgia factor and a certain innocence that movies nowadays can’t achieve, even if they try. While I appreciated the humor in both movies, I also appreciated the longing of the girls to have their parents reunited and the obvious love that mom and dad still had in spite of the difficulties that kept them apart. I also want to give a brief shout-out to the late Natasha Richardson, who played the mom in the remake. Richardson died in a skiing accident in 2009, but there is a special glow about her in this movie that is undeniable, which makes it a little sad to watch. The original is available for streaming to Netflix subscribers, available for rental on Fandango Now, Amazon Video, Google Play, or Vudu and available for purchase by clicking the title. The re-make is available for rental on Google Play, Amazon Video, Fandango Now, or Vudu and available for purchase by clicking the title. © 1987 Columbia Pictures − All right reserved. 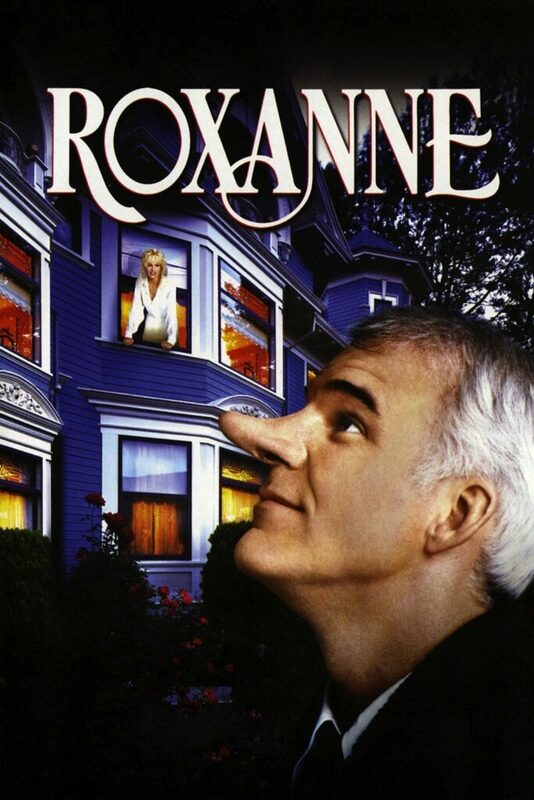 ROXANNE (1987) – When people talk about Steve Martin and his films, I rarely hear anyone mention this 1987 remake of the French classic Cyrano de Bergerac. That’s a shame, because it’s a very winning, well-written, almost nostalgic movie. It almost has a Mayberry feel as we meet the cast of characters who populate the small Washington town in which the story takes place. As most of you probably know, the original Edmond Rostand tale is about a man who falls in love with the beautiful Roxanne but is unable to confess his love because of a personal attribute which inhibits him – namely a big nose. He enlists the help of the resident “hunk” to pursue Roxanne by feeding him the words to captivate her. She will fall in love with our hero’s heart, and the rest of the other dude – hey, it’s better than nothing. ROXANNE takes this conceit quite literally and makes the necessary changes to modernize it. Martin is better know for his wild and crazy persona of the 70s and early 80s, but he is a very intelligent man, and that comes through, as well as his heart and obviously romantic nature. The comedy doesn’t feel forced, the triangle between Martin and Daryl Hannah and Rick Rossovich is sweet, and it’s an overall winning movie-going experience. The title is available for rental on Amazon Video, Fandango Now, Vudu, or Google Play and available for purchase on CinemaNow or by clicking the title. 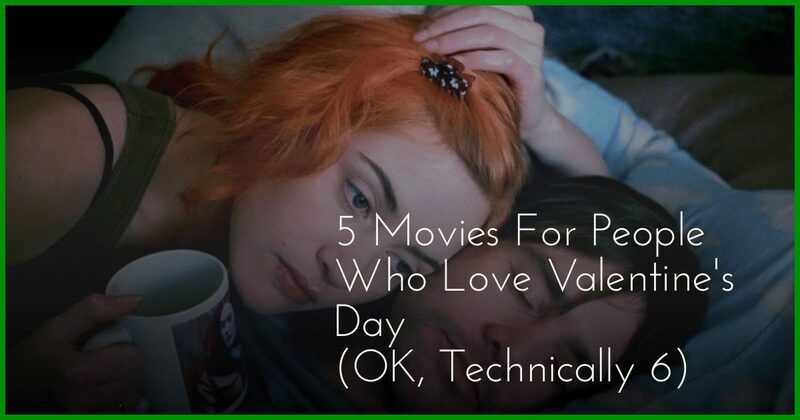 What are your favorite movies for Valentine’s Day? 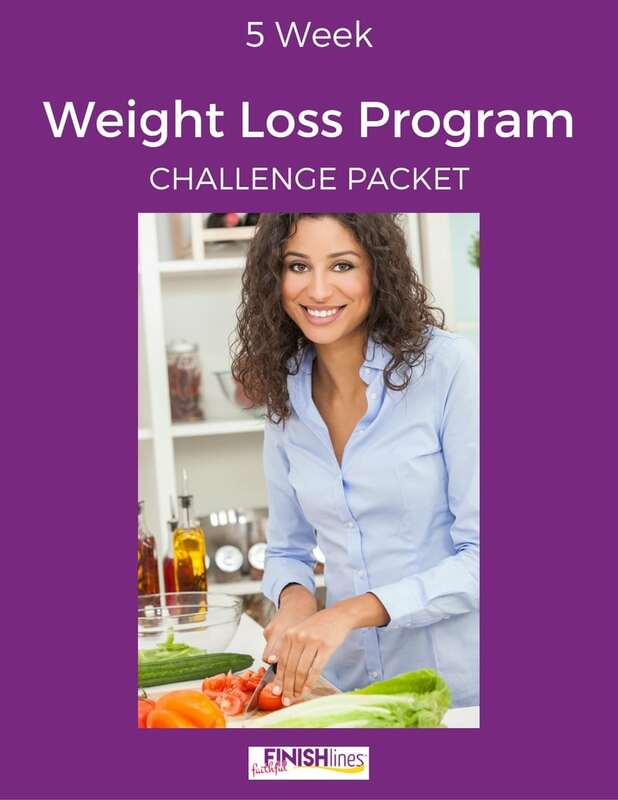 PreviousWhy Do I Binge Eat and How Do I Stop? Oh the Parent Trap! I forgot about that movie! I will have to put it in the loop for this week! happy Valentine’s Day! 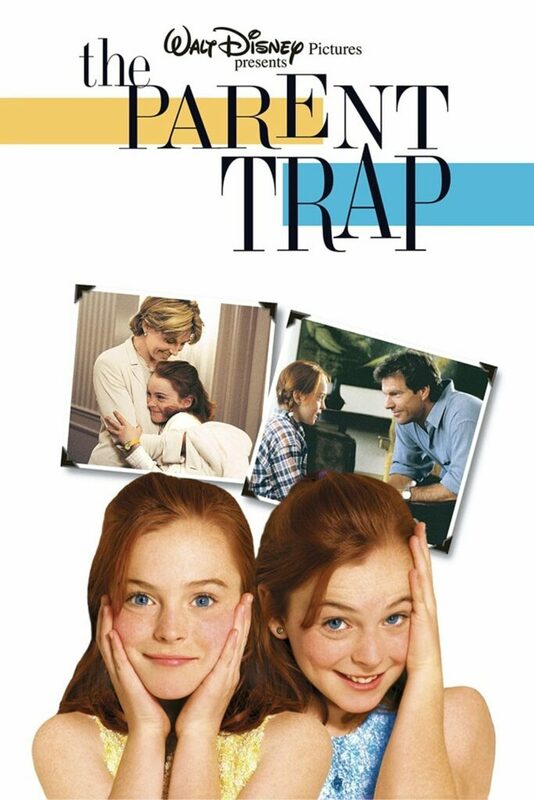 You don’t hear much about THE PARENT TRAP anymore except when people talk badly about Lindsay Lohan. Both are very enjoyable family movies. Still can’t decide for certain which one I like better. Would be a good double feature. Sara, wait to watch EDWARD until I come out with my full review. I will fill it with reasons why you should love it! Great one, Dori! Love, Actually is one of my favorites like that too. When I’m being a total die-hard romantic I love “A Walk to Remember” but the ending is sad. I’m not sure I’ve seen New Year’s Eve. Dori, I actually haven’t seen that movie, but what a great suggestion! Have you seen “New Year’s Eve”? I hear it’s the same type of movie. 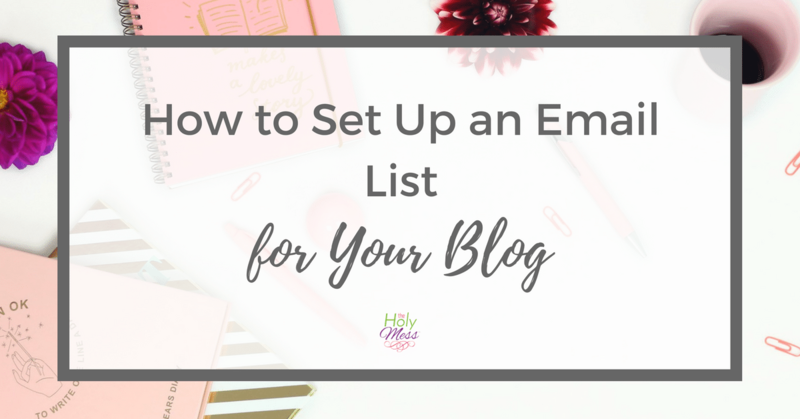 There were SO MANY movies to choose from – I could have done several blogs.